While all contact centers require high-quality network connections and the elimination of any delay, the facilities that support an area’s emergency services are a different breed entirely. Here, every second counts, and any type of network issue impacting communication abilities – from jitter and latency to packet loss and delay – could mean life or death. For this reason, emergency service call centers require specialized network solutions that can work proactively to prevent these issues before they become large-scale problems. An SD-WAN solution from Talari Networks can help establish a fail-safe network, which is essential for today’s public safety answering points. According to the National Emergency Number Association, there were around 5,899 primary and secondary public safety answering points across more than 3,000 counties in the U.S. as of late 2015. Overall, these contact centers receive about 240 million calls annually. Approximately 70 percent of all 9-1-1 calls today are made from a mobile device, like a smartphone. Nearly all 911 call centers – 99.1 percent to be specific – have Phase I capabilities in place, enabling the call taker to view all caller’s phone numbers, including those associated with wireless devices. Just over 98 percent of emergency service contact centers have Phase II, allowing agents to view both the phone number and location information of callers. With so many calls coming into emergency service facilities each day, it’s critical that these organizations ensure that communication can take place in a clear and streamlined way. However, there are a number of issues that can creep up when the network isn’t properly designed and optimized. A main problem here is latency, which can have particularly impactful effects on voice calls. Latency can create delays which cause data packets associated with voice traffic to not be delivered on time. This can cause a caller’s voice to become delayed, which typically results in callers talking over one another as they attempt to communicate. Packet loss can be even more damaging. When this occurs, the packets associated with voice calls are misdirected or lost in the network. This can result in a call being dropped altogether, requiring that the caller attempt a second call to re-establish communication. According to a policy widely held by public safety answering points, call takers must address all calls – even those that result in hang-ups or dropped calls. In this way, packet loss or latency on the line not only creates frustration for call agents and those seeking help, it can also create extra work as call takers work to confirm whether or not an emergency has taken place and if they should send help. However, the worst issue seen by many call centers is when the network crashes altogether. This famously took place in New York City on September 11, 2001, when callers inundated the local contact center network to report the incidents taking place at the World Trade Center. As reporter Dana Liebelson noted, there have been a few other system failures as well. One of them took place in Chicago in 2012, where the city’s emergency service network was down for about four hours without a backup in place. In this case, dispatchers resorted to taking calls manually and using the radio to communicate with first responders. Public safety answering points simply cannot be burdened with network issues like failures, packet loss, latency or delay. These can negatively impact all inbound calls, and prevent citizens from receiving the help that they need in a crisis. Here, every second counts, and these organizations need a solution that will proactively eliminate these problems. The answer here is a Software Defined WAN. 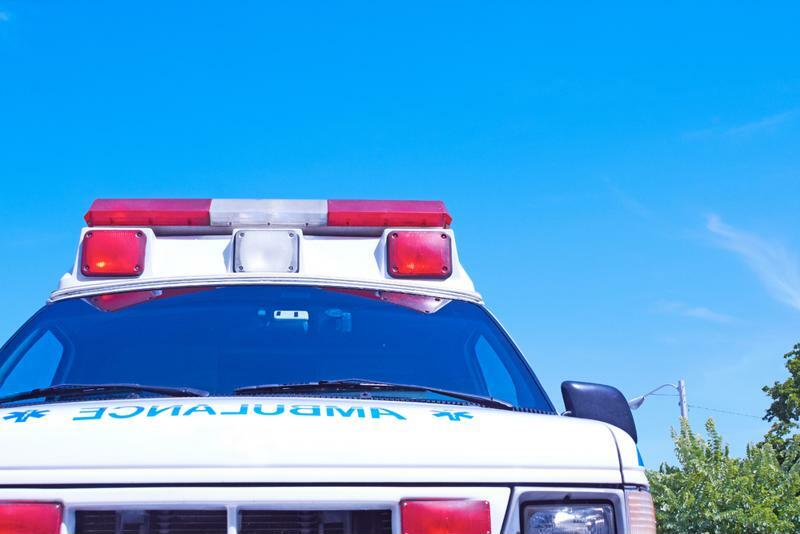 This technology creates a seamless, fail-safe network capable of standing up to even the most demanding requirements of today’s emergency service call centers. An SD-WAN solution works by measuring the quality of every single path across the network, including MPLS, broadband and all Internet links. The technology collects metrics about the latency, jitter, packet loss and availability of each path, and uses this information to identify the best path for traffic, and route packets accordingly. In this way, if one link or cannot provide a high-quality path for critical traffic – like that associated with emergency service calls – the network can respond to real-time network conditions and reroute calls to another path. This is particularly critical in the case of link failure. Where other solutions promise failover, Talari can ensure a fail-safe network, where any downed links go unnoticed. This is because Talari delivers an SD-WAN that can proactively identify problems and work to prevent and avoid them before they impact network activity. Emergency service contact centers must ensure that their network can support clear communications. Talari is uniquely positioned to help emergency service organizations establish a robust, fail-safe network. But don’t just take our word for it. Maricopa Region 911 has had a Talari SD-WAN in place for several years now, and for good reason. Here, the SD-WAN solution helps Maricopa better utilize their available network links, and do so in a way that helped them save considerably on their network costs. However, this benefit pales in comparison to the improvements the Talari solution enabled for network failover. Previously, Maricopa Region 911’s network took up to eight seconds to failover to a backup link. With Talari’s solution in place, this delay was completely eliminated. “One of the most intriguing aspects of Talari is the ability to failover off suspect links sub-second,” Maricopa’s 911 Technical Manager said. To find out more about Maricopa’s use of Talari’s SD-WAN solution, check out this case study. And for a custom demonstration showing how Talari’s technology can enhance your emergency service network, contact us today and come visit us at the 2016 NENA Conference & Expo in June!